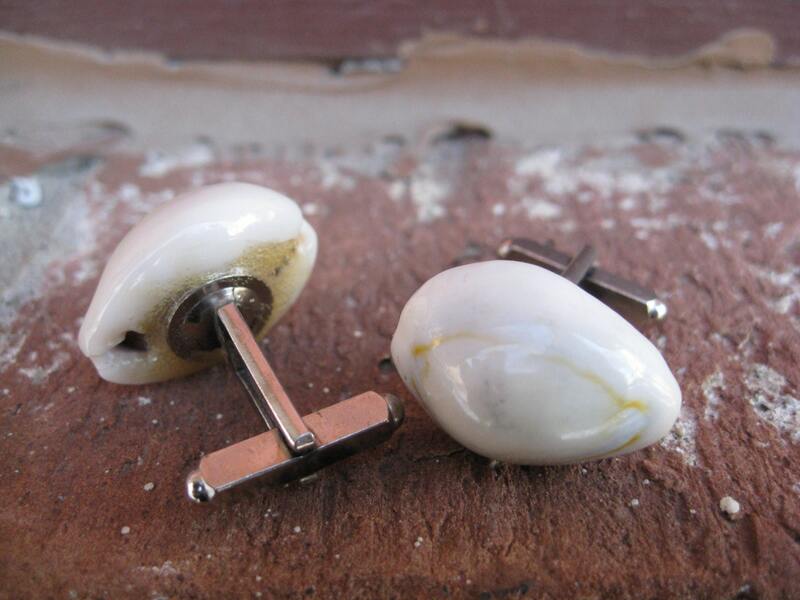 These vintage cufflinks were handmade from two very similar white shells. 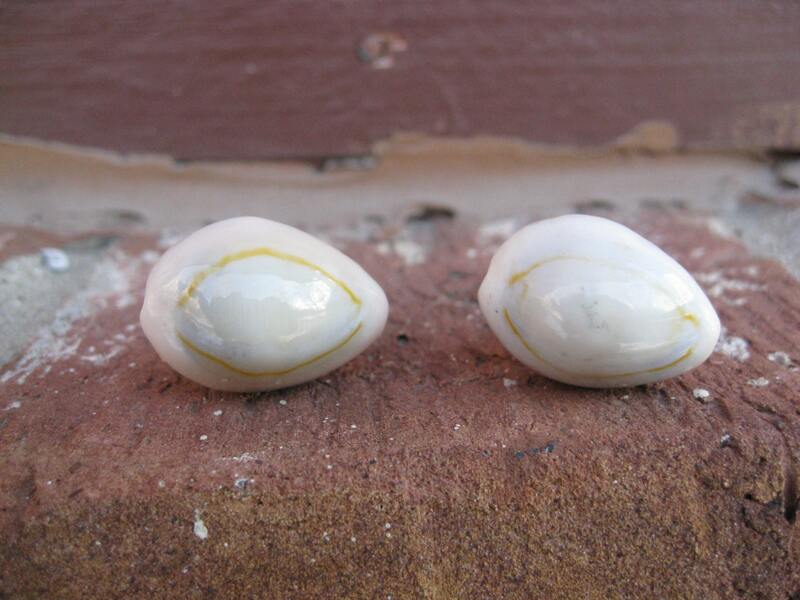 Each shell has a bluish tint to it and also has a brown stripe around it. They measure 1" x 5/8" and were made in the 1960s. These are in good condition. 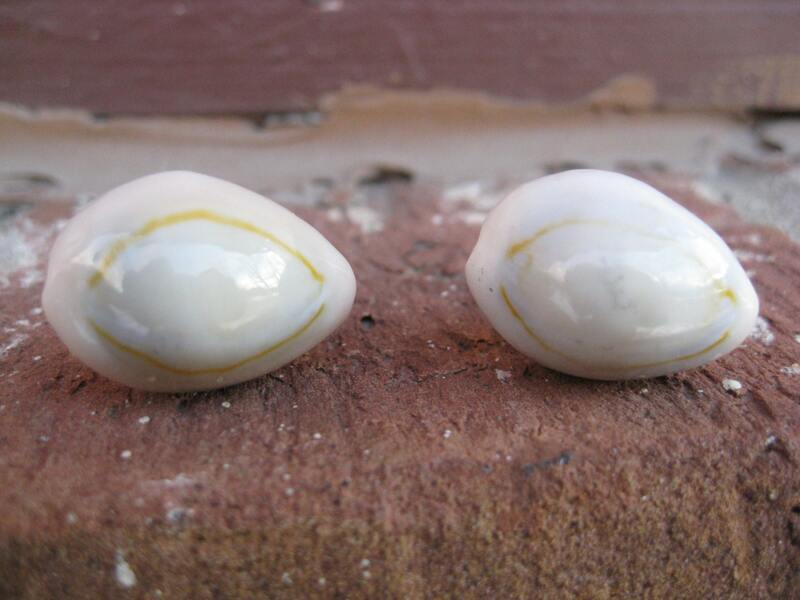 They are a silver tone on the back part. These would be a great gift for any time of the year! 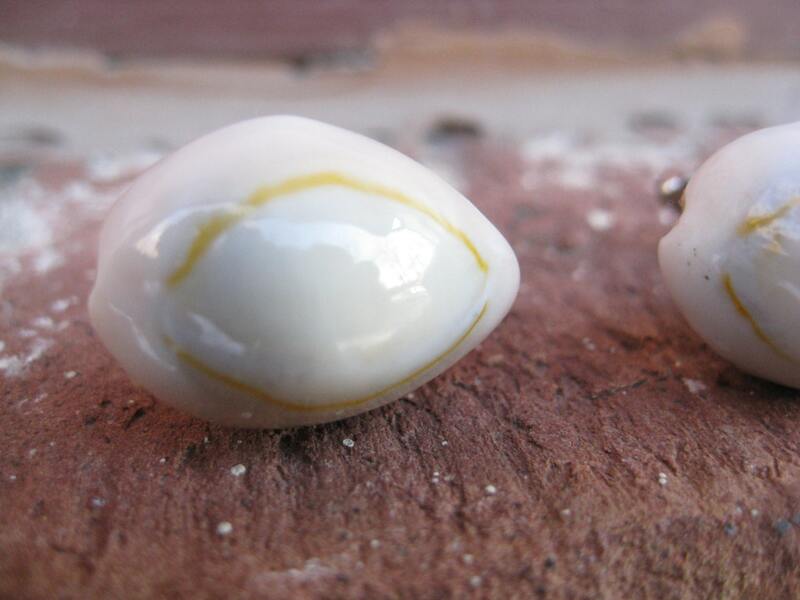 They are wonderful cufflinks for a wedding, for a Valentine gift, for Father's Day, or a birthday. This listing is for one pair. Please let me know if you have any questions. All jewelry items come in a gift box.